By now, you have undoubtedly heard and/or experienced the viral sensation that is "Pokemon Go." (If you haven't, we might need to send a search party out to rescue you from the rock you've been living under.) What you may not have heard yet, though, is how good ol' "Pokemon Go" is helping people get more exercise. So if you are one of those people running through parks in hot pursuit of a Pidgey, you're probably getting more of a workout than you realize. And if you're one of the people poking fun at those people running through parks in hot pursuit of a Pidgey, well, don't knock it 'til you try it — this now-ubiquitous augmented reality game could give your mobility a major boost. If you think about it, it's kind of genius. The app has tapped society's deep-seated obsession with technology and turned it on its head in a way that is actually good for our health: Rather than keeping us seated and stationary, it requires us to go outside world and move around. Was that the app's intention? Who knows. But regardless of whether or not "Pokemon Go" was created as a catalyst to get people off their couches and into the world, that's exactly what it is doing. This is a good thing, you guys. Sure, it may seem slightly silly to watch grownass men and women running through the streets in reckless abandon hunting for wild Pokemon. However, if it is encouraging people to be active, I think we can all agree it's a win-win, right? We '90s kids get to revel in our Pokemon nostalgia, a new generation finally gets to understand the appeal, and we're all apparently getting more physically fit in the process. Huzzah! The Daily Dot's Selena Larson explored this phenomenon, interviewing various self-professed "Pokemon Go" addicts. One user name Doug Byrd says the app already has him logging over six miles a day. "The system for making your Pokemon stronger actually encourages catching the same Pokemon multiple times, which makes each encounter still feel rewarding even when you already have that Pokemon," he told the Daily Dot. Byrd went on to explain that the app inherently encourages you to push yourself further than you typically might. "Something I notice, compared to another walking app I had tried in the past, is that 'Pokemon Go' is more focused on distance than time. That seems to be a significant difference; as when a mission ends on 'Zombies! Run' for example, I stop and think, 'Do I have the energy for another 30 minute mission?' With 'Pokemon Go,' there is no real moment where you stop and wonder about how tired you are. There's always the possibility that you'll find a Pokemon if you go a bit further," Byrd posited. If you've started playing "Pokemon Go" yet, you undoubtedly know what Byrd is talking about — it's virtually impossible to resist the temptation to keep going and capture just one more wild Pokemon. So let's talk numbers. How does rounding up Rattatas compare with other common fitness activities? Here are five possibilities to chew on. According to Bryd, "Pokemon Go" has upped his daily walking level to around six miles. The Centers for Disease Control and Prevention (CDC) recommend that adults get in 150 minutes of "moderate-intensity aerobic activity" — something like "brisk walking" — every week. If you go by the commonly cited advice of getting 10,000 steps a day, that's almost five miles right there. Well done! If you live somewhere with hilly terrain, your quads are probably going to be killing you after a day spent indulging in a vigorous round of "Pokemon Go." It should delight you to learn, though, that climbing builds strength and power. Plus, Rocky Balboa's workout regimen including climbing stairs, so this definitely qualifies as beast mode. Straight up, I have seen more people than I can count on two hands sprinting all over my city as they close in on a coveted species of wild Pokemon. And good news for those go-getters: Research has shown sprinting offers tons of health benefits, ranging from expanding endurance to building mental toughness. Sometimes you need to drop it down low in order to get the perfect position from which to toss a Pokeball to the creature in your crosshairs. Not only will this quite possibly lead to some buns of steel, but all that squatting will also make real-life activities easier! A functional exercise people have been doing since our primitive days, squatting builds muscles all over the body and basically just helps you be a more efficient human being. I'd call that #winning. I know, I know — what does bird watching have to do with "Pokemon Go"? Only, kind of everything, right? The two activities are very similar: tracking elusive creatures, trekking for miles in search of a rare sighting. 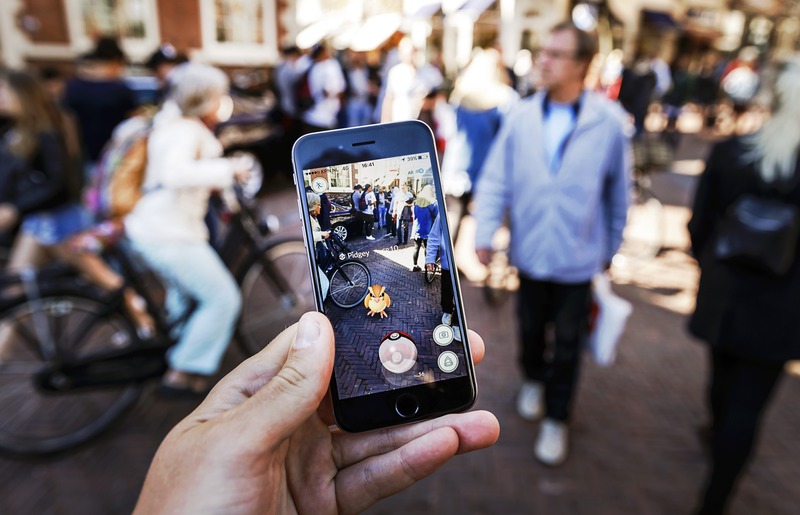 Mental exercise that involves learning or seeking out something new, like identifying Pokemon species, creates the kind of intellectual challenge that stimulates the brain and could improve brain function.